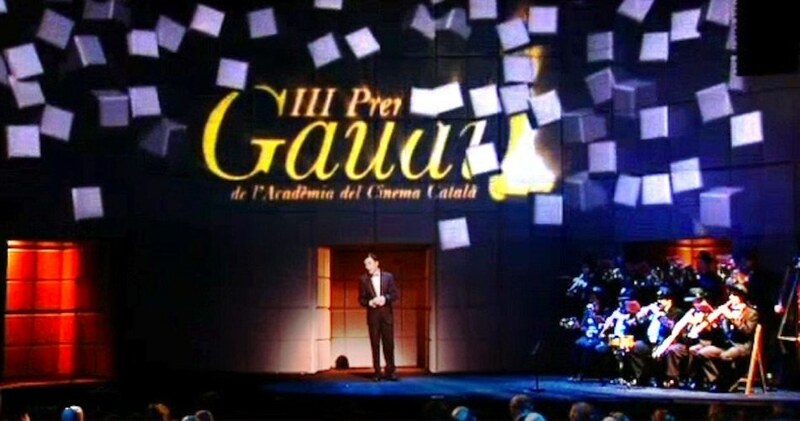 I created a unique show using video mapping with the main object of surprising the audience and breaking the conventions of traditional award ceremonies. 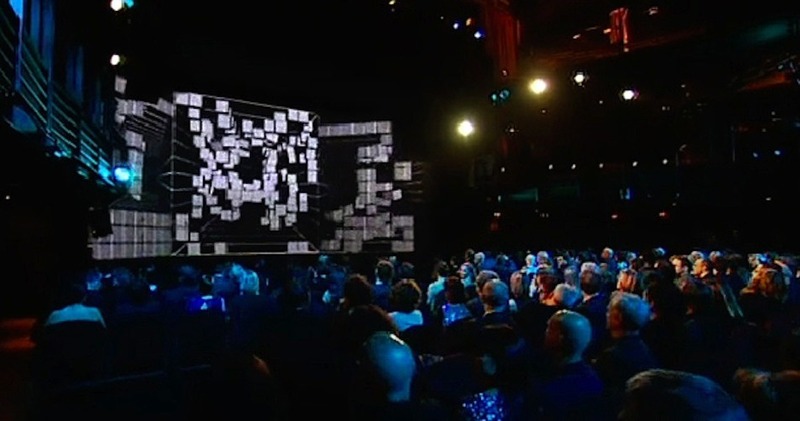 The award show opened with a three-minute video that was created using special software that visually distorted and played with the stage space. 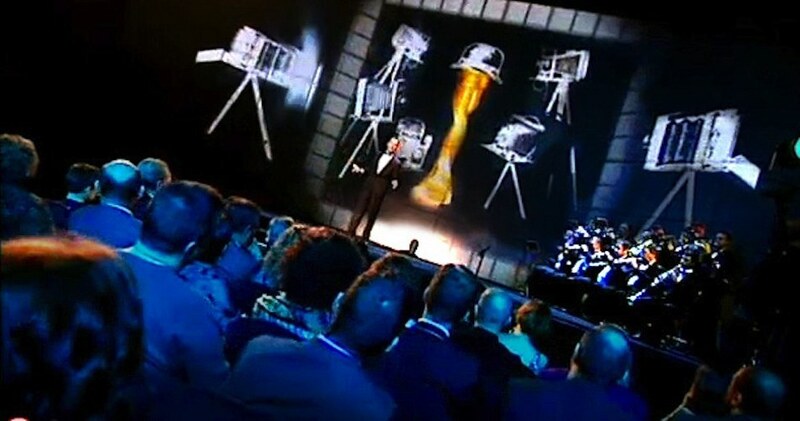 The design team was able to ‘map’ videos that switched the appearance of the stage, from 3D black and white blocks, to a glamorous gold set. 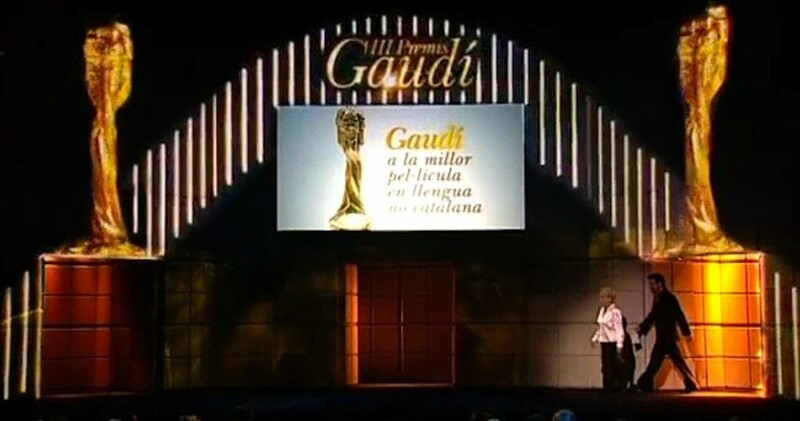 During the three-minute opener, the goal was to build up the set as fictitious Gaudi Temple where the show’s host would finally appear. 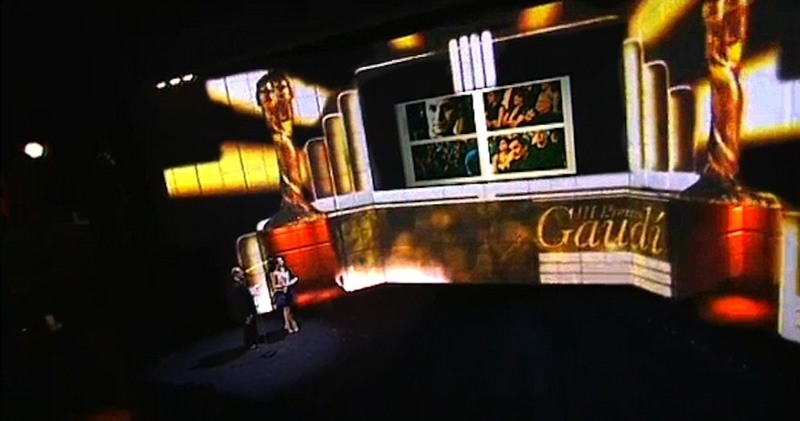 The set later revealed multiple entrances and a 16:9 back projection screen used especially for the different Award categories. 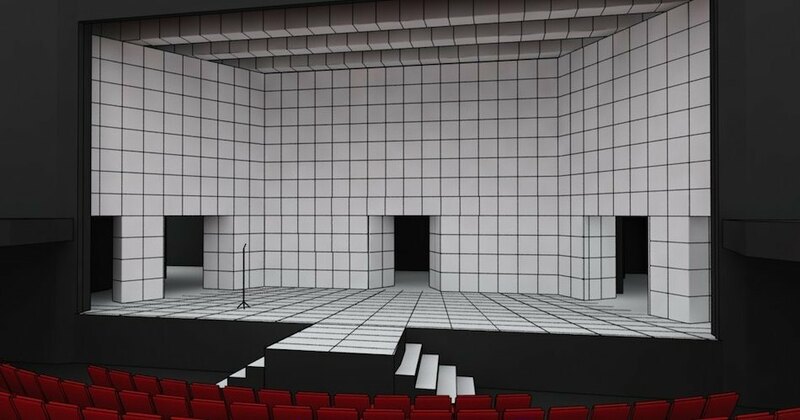 So as to experiment with the animations and the geometry effects we built a 1/10 model so as to project first our ideas to see what worked and what was most effective. 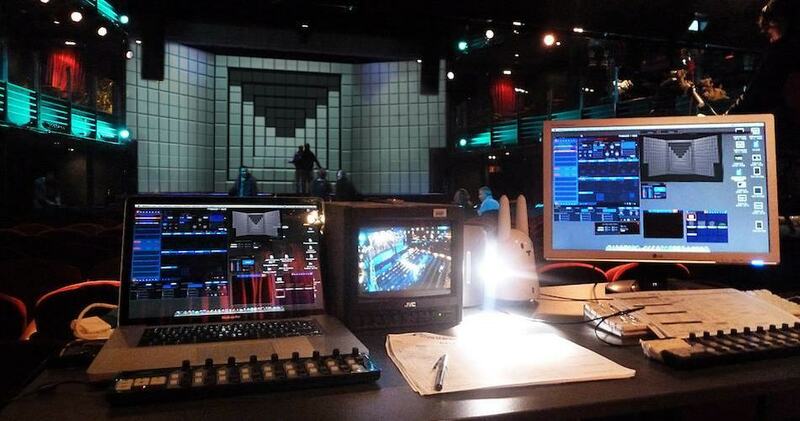 This model enabled us to co-ordinate the whole look of the Show allowing us to see the different looks using the projections which had been created. 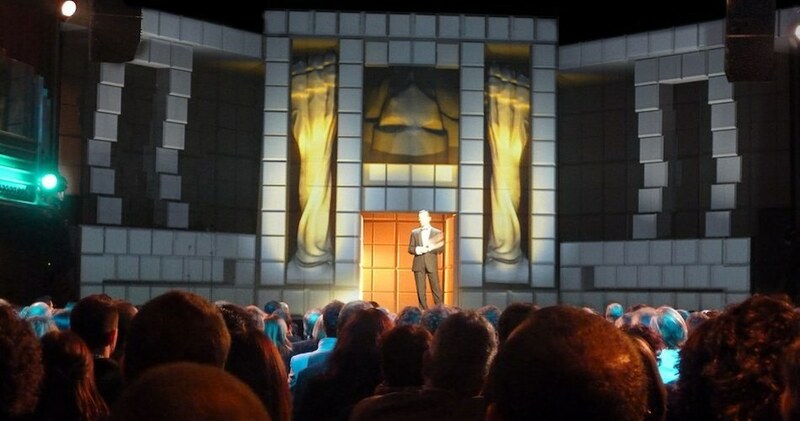 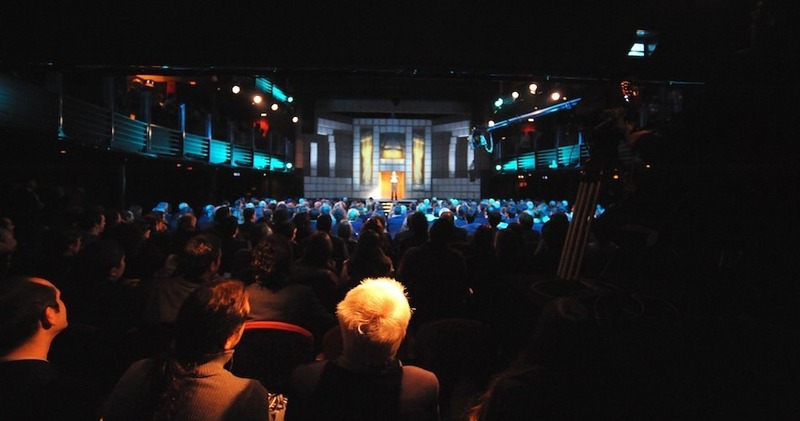 The technology we used allowed the audience to be part of a huge living stage set. 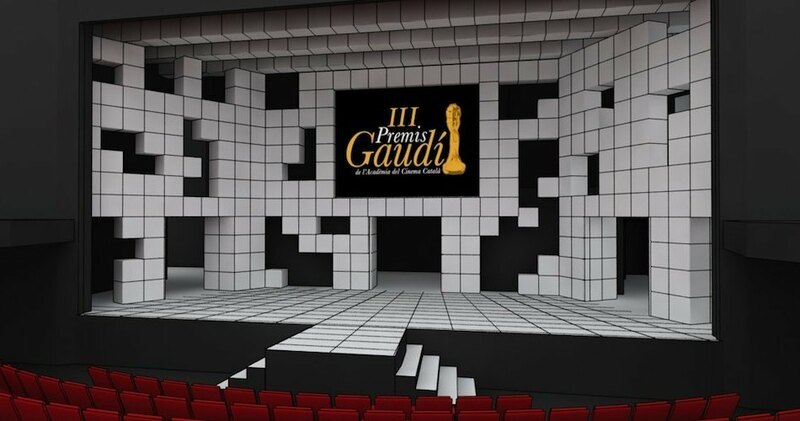 Using this technological approach we were able to change the whole ambiance, starting from the technological black and white show to the gold and glamorous sets for the awards.